The complete of list of events shown below continues here. The Arts and Humanities Council has been proud to work with the Asian Culture Center on programs that celebrate the rich cultures of Asia and Asian America and that promote IU Bloomington as a diverse global campus. 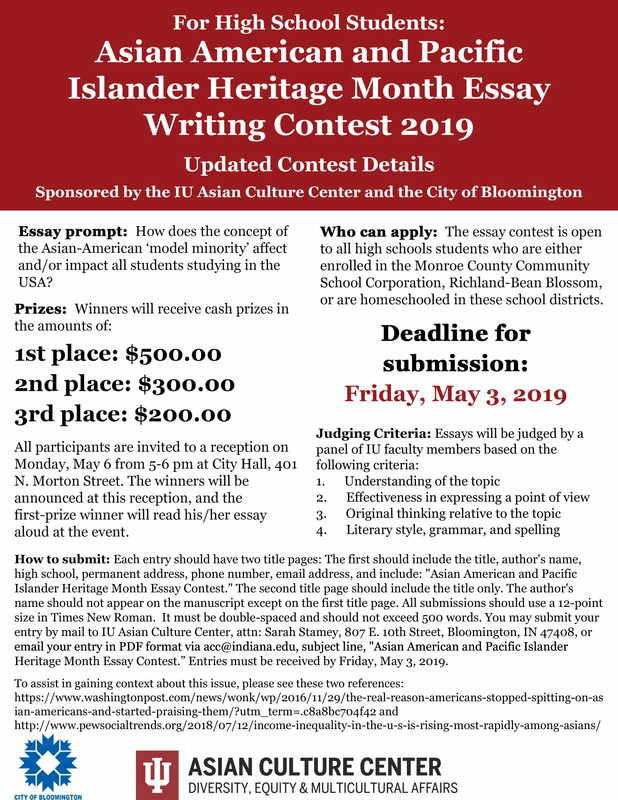 The Asian Culture Center has been an invaluable partner for us in our efforts to make the arts and humanities accessible to all IU students and to advance the arts and humanities as critical components of IU student success and community development.